These healthy banana-nut muffins are the very first recipe that I can remember learning how to follow and bake. 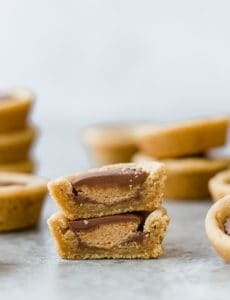 My mom began baking these when my dad found out he had high cholesterol, and soon they became a weekly ritual. I always wanted to help make them, and at first I was given the job of mashing the bananas with a fork, and then little by little my mom let me tackle more of the tasks until I was finally able to make the entire recipe all by myself. Such a proud little baker I was! When Maria of Two Peas and Their Pod asked me to do the first-ever guest post on her site, not only was I extremely flattered, but I thought that this would be a perfect recipe. Maria loves to liven up healthy dishes, and I love to bake, so this recipe seemed a natural bridge between our two passions. If you haven’t had the pleasure of browsing Two Peas and Their Pod yet, you’ll want to add it to your favorites immediately. 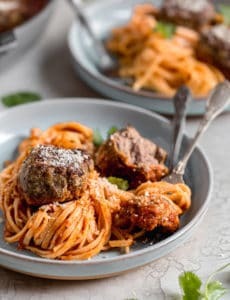 Maria and her husband Josh love spending time in the kitchen together and whip up some amazing dishes, everything from breakfast to dessert and salads; everything is fresh, bright and looks delicious. 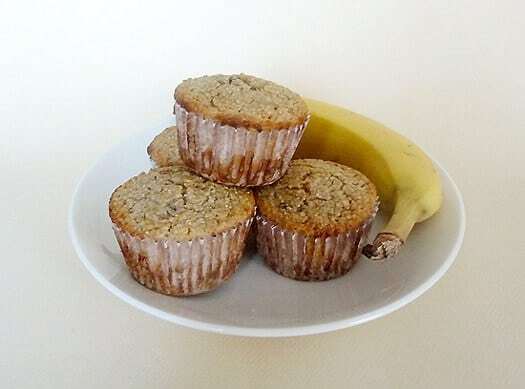 Head on over there to get the recipe for the Banana-Nut Oat Bran Muffins and check out their site. Thank you again to Maria for having me, I loved sharing a little piece of my baking history with your readers! Thank you. These muffins are delicious. I used skim milk. This is my favourite! thanks for the idea! 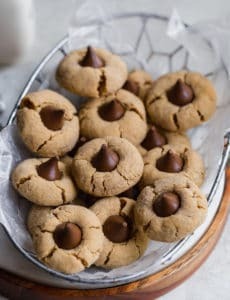 It would be really appreciated if either here or, even better, on the 2peas&pod site where the recipe is posted the comments regarding the thickness of the batter be addressed. Even my husband (who does not bake) commented that he thought the batter would be dry after looking at the ingredient proportions. It mixed up more like a cookie dough. I went ahead and added 1/3 c applesauce, 1/3 c milk and 1 egg after seeing how thick the batter was. The end result was pretty good and not too dry. I can’t imagine what they would have been like without all the added moisture. this recipe is funny. Like others my batter was VERY thick. blah! please have pictures to show the process . . .
Hi, I made these this morning. I’m wondering if the recipe was written properly, because in your description you said the batter would be thin, when I and several other readers have noted that it was actually quite thick. I added a couple generous splashes of milk, and they were fine, but either the description of the batter or the recipe has to be inaccurate. Angela, Did you use oatmeal or oat bran ? Alright….apologies to the peas…. Michelle…. why did you write it that way… boooo :( However, my last six that I could make smell super delish!! Always great to meet another muffin lover! The chocolate ones look tempting, and I’m always looking out for the next great blueberry muffin, thanks! Easy ingredient list…takes no time to whip up. Pretty good muffins for low fat muffins. I am shiv from india. I like your comment.I like banana nut bread/muffins……………so thankssssssssssss. Thanks for being my first guest blogger! I love the muffin recipe and so do my readers. Thanks for sharing a family favorite! So healthy & yet they look delicious. These look really food. I make banana muffins for my son. I add oat bran, ground flax seed and I use agave nectar in them. He loves them and has no idea the healthy ingredients included. Mmmm muffins! I’m up early so maybe I’ll throw these together before everyone wakes up. i have been baking healthy muffins for a while now & these look great…i will be baking these asap! thanks!! My dad was also a lover of banana nut bread/muffins and I loved to help my parents bake in the kitchen. I remember I loved making apple crisp :). I’ll have to try this healthy version. Sounds awesome.